On November 24th, 1971, an unidentified man hijacked a commercial airliner heading out of Portland International Airport in Portland, Oregon. According to reports, the man had checked in as “Dan Cooper” later referred to, by the press, as D.B. Cooper, and purchased a one way ticket to Seattle, Washington. After his list of demands had been met in Seattle, D.B. Cooper let the passengers go but kept the flight crew on board to make his way to Mexico. Somewhere between Washington and Reno, Nevada, Cooper parachuted out of the back of the Boeing 727, never to be seen again. The actual identity of D.B. Cooper has mystified the public for decades. To this day his remains have never been found. So who is D. B. Cooper? And will his true identity ever be revealed? Today on Lawyer 2 Lawyer, host Laurence Colletti, guest co-host Jared Correia, and special guest, attorney Mark Zaid, founding partner of Mark S. Zaid, PC., discuss the mystery behind D.B. Cooper. Mark speaks about representing the team of private investigators looking to unlock the mystery, and talk about how the notorious D.B. Cooper continues to be an intriguing figure to so many. Attorney Mark S. Zaid is founding partner of Mark S. Zaid, PC. Mark represents the 40 independent private investigators working on the D.B. Cooper case. Mark S. Zaid: The FBI records indicate there were no fingerprints located or found on the plane. He did not leave his briefcase; in fact, he even took back the note that he gave to the flight attendant saying, he had a bomb. So, this guy was smart. He left nothing. He left no trace whatsoever, other than obviously the famous composite photos that we have seen over the years that were drawn in talking to the flight crew who interacted with him. 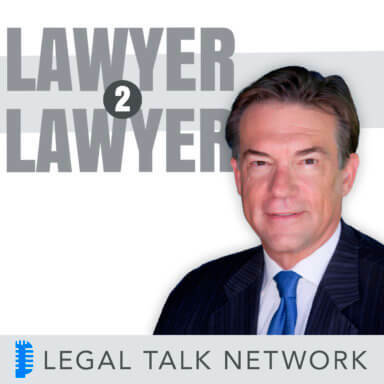 Laurence Colletti: Welcome to Lawyer 2 Lawyer on Legal Talk Network. I am Laurence Colletti out of San Diego, California. I am the Executive Producer for this network, an occasional writer for the blog. I am also an attorney, and today, I am standing in for both hosts Mr. Bob Ambrogi and Mr. J. Craig Williams. But fear not, I brought support. 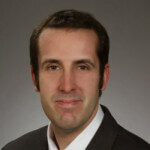 I am also joined by long time Legal Talk Network host, Jared Correia, welcome to the show. Jared Correia: Hey Laurence, thanks. So I am Jared Correia, I am the host of the Legal Toolkit on the Legal Talk Network and I run a company called Red Cave Law Firm Consulting, where I provide subscription-based law practice management and consulting to law firms, Bar associations and legal technology vendors. And I’ve also been told that I’m a younger sexier version of Bob Ambrogi, so you really locked out today. Laurence Colletti: Well, we appreciate that plus the Boston connection, so thank you for joining us on our show. Laurence Colletti: To that end, we have something special planned today. So, I am so glad to have Jared Correia with us, because I think he is the perfect person to join us for this show, and so this is a special episode. We wanted to take a little break from current events as they are in the news cycle today, and we wanted to put together a very special episode. And to do that, we are going to go back in time, nearly 47 years, the year is 1971. Richard Nixon is President and J. Edgar Hoover still runs the FBI, Intel has just unveiled the world’s first microprocessor that Dallas Cowboys lose to the Baltimore Colts in Super Bowl V, the world beats Dirty Harry, Led Zeppelin releases their iconic fourth studio album, the voting age drops from 21 to 18, Johnny Knoxville is born, and it’s the year before Mikey likes anything. 00:02:42 different time, people still use rotary phones, disco is heating up, flight attendants were called stewardesses, American smoked on planes, you did not need identification to fly, and it was the golden age for skyjacking. And that brings us to perhaps the most famous airline hijacking of all time, which took place on the eve of Thanksgiving, November 24, 1971, over US skies in the Pacific Northwest, a caper pulled off by a man who later became known as D.B. Cooper. Jared Correia: Boy, is that a proper introduction. Laurence, you are like a young Rick Dees. So, to help us discuss all of this, we have a wonderful returning guest today, that’s attorney Mark S. Zaid, who is the founding partner of Mark S. Zaid, PC, aptly named. Mark often represents former and current federal employees, intelligence and military officers, whistleblowers and others who have grievances or have been wronged by agencies of the United States government or foreign governments. Mark represents 40 independent sleuths working on the D.B. Cooper case, who is a perfect guy to talk about this. So welcome to the show Mark Zaid. Mark S. Zaid: Thanks guys. It’s my pleasure. Laurence Colletti: Well, excellent, so in preparation for the show today, I did a lot of listening to some other D.B. Cooper podcasts on different shows across the podcast spectrum. And so, one of the things that they all seem to share, and I think it’s an important first step is to talk about the events that led up in all the way through the hijacking itself. So, Mark, I’d like to start with that. Let’s start from the beginning, let’s review the facts of the case, what happened on that day, that day right before Thanksgiving when Flight 305 was hijacked? Mark S. Zaid: Sure. So, this flight of Northwest Orient Airlines, which no longer exists, originated in Washington and was heading to Seattle with a number of stops along the way. And an individual bought a ticket over in Portland and boarded the flight and while bought it ironically as Dan Cooper, and the notion or nomenclature of D.B. Cooper came about later on because a reporter mistakenly wrote the name and it stuck, but it actually was Dan Cooper; but bought a ticket. Laurence Colletti: So back in 1971, fake news was alive and well. Mark S. Zaid: Exactly. There is some sort of conspiracy. Jared Correia: Now we know what DB stands for, nothing. Mark S. Zaid: Yeah, nothing, it’s absolutely nothing, yes. When the individual was on the flight, sitting in the back, it was about one-third full, he passed a note to one of the — as you said, stewardesses, now flight attendants, who at first didn’t pay attention to it because she thought maybe she was just being flirted with but he whispered to her that miss, you better look at the note. I have a bomb. And he had a suitcase that even he was in a suit as well and that started the whole adventure of what to do with this individual. And the flight crew was alerted, they eventually landed in Seattle and $200,000 was turned over to the hijacker. The passengers were taken off, the passengers never knew that they were being hijacked until it hit the news. They just thought there was a problem with the aircraft and they needed to land a little bit before I think they were supposed to. So $200,000 is about, I don’t know $1.3 million in today’s currency. He re-boarded the plane with the flight crew and was heading towards supposedly Mexico City. And he wanted two parachutes and along the way, he had the pilot drop to 10,000 feet and over the skies of Oregon, he had all the flight crew go up to the front of the cockpit, and he opened the rear door of the plane and he jumped. And he has never been seen again until we get to our story today. Jared Correia: That was a great tease by the way, what happened, right? So, crazy thing happens. Guy jumps off the back of a plane with this money, which was a lot of money back in 1971. So, what do you think happens, do you think he makes it or not? Does he live? Mark S. Zaid: Well, no one knew. There was a massive search on the ground for an extensive radius, both looking for an individual, looking for parachutes, looking for the money, and of course, the money was all marked. All the money had been microfiched and copied, so we knew all the serial, law enforcement knew all the serial numbers, et cetera. And just like with the Lindbergh baby kidnapping 40 years earlier, they were hoping at least that someone would show up and start using the currency so they can start to track it, which is how Bruno Hauptmann was captured back for the Lindbergh kidnapping, but that never happened with this guy. They never found anything. I mean they — since we and we’ll talk more about it have been getting access to the FBI files, they were interviewing everybody, anywhere around, I saw this person saw that person, this person heard an airplane nearby, a small plane, this person saw an individual in a suit walking down the road late at night on the day that the person jumped, but it never turned out to anything. Now, what did happen at least is that there were some letters that were sent purportedly from the skyjacker to a number of newspapers at the time. Some of them were printed, others we never knew they existed until the lawsuit we brought which we’ll talk about in a little bit. And other than those interactions from the notes that were block letters taken from newspapers and pasted onto paper, there was just years and years worth of effort by the FBI to track down possible suspects that were all, in their view, for not. Jared Correia: I feel like in 2018, there would be like a thousand photos of Instagram of this guy, like just walking down the road, there would be like millions of them, but it was a different time. So, the people of the FBI were thinking that he might have died in the jump or died in the woods, right? But you don’t believe that? Mark S. Zaid: That’s definitely what people thought. I mean, still today when we talk to people they are like, there is no way anyone would survive the plane is going 150 miles an hour, 10,000 feet, it was raining, the odds of this person surviving are slim to none. But we do believe not only did the person survive but we believe the person is still alive and well today in 2018, almost 47 years later, and the reason why he is still alive and survived at jump is because he was an Army paratrooper with extensive training in Vietnam to be able to pull that jump off. Jared Correia: This is good. Laurence Colletti: I think that’s a really interesting point that I wasn’t alive when this happened so I can’t speak to the working framework of the FBI but it seemed like they were really down on this guy, first of all surviving the jump and then, some of the FBI people felt, well, even if he did make the jump, there’s no way he would have survived in the woods at that time of the year, dressed only in a suit. But they still were pinning some of these military guys as prime suspects, and of course, military guys especially back then had survival training and even if he’s just wearing a suit, he has got a very, very useful piece of equipment within the parachute and I went and looked this up in the Army Survival Guide, just among the many uses of a parachute survival situation, you can use it as shelter, you can use it as clothing, insulation, a sleeping bag, and of course the cortege can be used for a variety of things. So, even if he’s down there, a cold wet suit, he’s got this huge canvas to make clothing out of, so I think that kind of boats for survival, what do you think, Jared? Jared Correia: Yes, I might go with D.B. Cooper survived. I have always thought that and I think it’s cool notion also to think that somebody was able to survive and potentially live a life for this period of time without ever being discovered, it’s like fascinating to me that somebody would be able to do this. So, should we talk about other evidence as well that survived, including stuff that was potentially on the plane? Mark S. Zaid: So, there wasn’t very much that at least came from the plane, obviously like we said, no surveillance, cameras or anything of this sort. The passengers never paid attention to the guy because nothing was going on. There was only actually one other passenger, a young man at the time who was about 21, I want to say, who he took notice of this individual because he was interested in the flight attendant himself and she kept paying attention to this other guy who was sitting near him and she kept going back and forth and talking to him and talking to him, and he was like, geez, I have no shot. So, he paid attention a little bit to the other guy, not knowing he was hijacking the plane and that’s why the flight attendant was paying so much attention to him. But the FBI records indicate there were no fingerprints located or found on the plane. He did not leave his briefcase, in fact, he even took back the note that he gave to the flight attendant saying he had a bomb. So, this guy was smart. He left nothing. He left no trace whatsoever other than obviously the famous composite photos that we have seen over the years that were drawn in talking to the flight crew who interacted with him. Laurence Colletti: So what are that some of the reports that the thin black tie, clip-on tie that was associated with D.B. Cooper and there was this mother of parole tie clip and then I think there was — and I don’t even know brand really, I am not a smoker, eight Raleigh cigarette butts left behind, what about those, Mark? Is that something that has been later disproven as any connection with D.B. Cooper? Mark S. Zaid: So, it’s unclear whether the FBI still has this evidence. They at least were not able to lift any fingerprints. So now the question of course is — is there any DNA that could potentially be tested? Now back in 1971, no, that was irrelevant, but in 2018 may be there is a possibility and especially because we have identified who we believe to be the perpetrator and we do know that the FBI at the very least has in its possession the letters that were sent and mailed, and back at the time that meant most likely, I can’t think of really any other way that somebody really would have done it other than I suppose water, but sealing the envelope, licking the envelope, which in 1971 the personal probably wouldn’t have been concerned about doing because there was no fear of DNA, but physical evidence, no, in fact when the FBI administratively closed its investigation back in 2016 and it kept it open all those years. So, even though conjecture that he might — the guy might have been died, they were still satisfied enough that they are going to keep it open, but when they closed they said the only two things that would lead it to reopen the investigation would be finding the parachute or the money, and we can talk about that further because we have some leads that we provided on that too. Jared Correia: Would DNA evidence be survivable at this point? Say, he licked an envelope in 1972, would the FBI be able to extract DNA from that at this point? Mark S. Zaid: I think so. I do believe, I mean, entirely DNA does degrade over time but it can absolutely survive if it were stored properly. Jared Correia: Yeah, sure to finding like a random hair in like the FBI’s archives like, oh look, we found one of the D.B. Cooper’s hairs from that flight like 47 years ago. All right, so it’s the parachute or the money that they are looking for? Mark S. Zaid: Yeah, or a skeleton, I suppose. Jared Correia: True but we are seeing no skeleton. Mark S. Zaid: Right, exactly. Well, at least one that’s still walking around. Jared Correia: Yes. So, one of the things we also want to talk about is like the evidence that is surfaced since the hijacking, is there anything else that we could talk about that might be available like I refer that there were potentially rare metals that could have been found in his tie that might have been able to be identified, stuff like that? Is there access to that kind of thing, even though it’s a longer shot? Mark S. Zaid: I’ve heard it over years but nothing that’s really I can talk to, but there was a discovery in 1980 of some of the money that was identified to have been part of the D.B. Cooper cash that was provided to him. There was about — I want to say it’s about $5,700 if I recall, it was found alongside the Columbia River and how it made big news at the time, it was found by a young, seven or eight-year-old boy with his parents supposedly walking along the river and they found pieces of it and when that became known the government sent a whole team to excavate part of the River, dredged the sand and everything and ultimately they found what I say like $5,700 out of the $200,000 that had been hijacked and now they were trying to figure out, well, how the heck did that get there, did it wash up, was it buried, how long has it been there. And now a lot of strange things have come about and in fact this story was one of the key stories that led the Cold Case Team that I legally advised to be formed to explore who actually D.B. Cooper might have been. Because what we found and what we had been told that started this whole case for us was someone mentioned to a friend of a friend that got to my primary client Tom Colbert who leads the Cold Case Team that the finding of that money was a set up, that the little boy had been told specifically where to go dig knowing the money would be found there, possibly in an attempt to demonstrate or suggest the people that the hijacker was dead and that the money just happened to show up there so that the FBI would shut down its investigation. And it’s an amazing story and we had people on camera who were telling us this is what it was and this individual who went to a party back in 1980 and who said that an individual at that party said, hey, you see that man and woman over there? You see that couple over there? He is like, yes. He was like, they are going to find the D.B. Cooper money and like this was a drug party everybody is like using coke and alcohol and all sorts of stuff so he is just kind of scoffed it off, like yeah, whatever. Jared Correia: Kind of weird. Mark S. Zaid: Yeah, but then like three or four days later the guy sees on the news that a kid had found the money and lo and behold it’s the same couple that he had been told days before was going to find the money, and what we learned over the years is that the money still had the rubber bands around it, which apparently the scientific testing showed that there is no way the rubber bands would have survived nine years under the water or under the sand. So, that was quite strange and that — when they excavated the beach and they started to find some shreds of the money of the bills about 6 feet under or so that that area of the beach had been dredged from a different part of the river a period of time before by like the Army Corps of Engineers or something to help widen the river or deepen the river. So that — it looks like, I mean the whole thing was possibly set up and it all ties back to the guy who we say is now, was or is D.B. Cooper. Laurence Colletti: Well it’s just a quick follow up on that, Mark. Why would somebody — if there is no trace, this guy vanishes into the air, nobody sees him again, why would anybody risk placing evidence near the river for somebody to find? I am not following that part of it. Mark S. Zaid: So, you just have to know some more of the history of what was going on. So the FBI was always investigating leads and subjects, and one of the subjects who was under active investigation, at the time, in the late 70s, right around then, was the guy who we say is D.B. Cooper, meaning D.B. Cooper slipped through the FBI’s fingers. They weren’t able to prove that was him and they moved on. What we have done is identified additional evidence of the FBI completely missed that tells us this guy is in fact D.B. Cooper. So, he was on their radar screen at the time and he had an incentive back then to try and throw the FBI off the trail as he apparently did successfully, so that he would just fade into oblivion until we came along. Jared Correia: I am also kind of wondering where the kid was while his parents were at this drug-infused party. They were like, we are going to get ourselves involved in the conspiracy, don’t want Scooby-Doo too many times. I need answers. Mark S. Zaid: Well, it was 1980 and I think the laws were different back then, so he might have been in the other room. Jared Correia: So, can we talk a little bit about like what might happen to D.B. Cooper if he was caught? Like, because some of the stuff happens like, these serial-killers, for example, go underground for years and years and years and then they come back and they are caught like the Grim Sleeper out in LA, for example? So, assuming D.B. Cooper was found, charged, what would he be charged with? Mark S. Zaid: So, hijacking certainly was against the law at the time and now for air piracy and it’s, what’s called the violation of the Hobbs Act, which deals with aviation and obstructing commerce, it’s something like that, but it only, as I recall, has a five-year Statute of Limitations. So, actually in 19 — around 1976 there was an indictment obtained from a Portland grand jury in absentia against John Doe a/k/a Dan Cooper, and we finally got a copy of the indictment. It was known that an indictment was handed down, but we actually finally gotten a copy of it I think for the first time as part of our FOIA lawsuit and the rumor from what I’ve always been told, and frankly, candidly, we haven’t been able to confirm this, but it would make sense as to why the FBI kept the case open was that they kept renewing the indictment so that he is still within the Statute of Limitations, so theoretically if they were able to take custody of someone, that indictment remains open and he could be prosecuted. Jared Correia: And as a follow-up, like how about the people who would or could be identified as like co-conspirators or accomplices, including the folks who like helped hide the money; like, there potentially a lot of co-conspirators out there, how would they be charged? Mark S. Zaid: I am not sure that they could and we definitely believe that there are co-conspirators, some of whom are deceased, but we actually gave — I want to say, I am trying to remember if it was two or three names of individuals who we believed were co-conspirators who are still living, we gave those names to the FBI, actually last year, and we are not aware of them having done anything. What we believe is that when D.B. Cooper bailed out of the plane and landed he had a small plane waiting for him and he is a pilot himself, but that he had someone else, one or two people with him who helped make the escape back on that very late wet night. So, as far as I am aware I don’t think, at least I’ve never seen any indication that any of them have been indicted. So, it may be that they have gotten away scot-free. Laurence Colletti: All right, well, before we get into that and we will, we are going to take a quick break to hear a message from our sponsor, but when we return we are going to continue with our conversation about D.B. Cooper and the big reveal. Our guest Mark Zaid, believes he knows who the famed hijacker really is, so stay tuned, we will be back in a moment. Bob Ambrogi: Imagine what you could do with an extra eight hours per week. That’s how much time legal professionals save with Clio, the world’s leading practice management software. With intuitive time tracking, billing and matter management, Clio streamlines everything you do to run your practice, from intake to invoice. Try Clio for free and get a 10% discount for your first six months when you sign up at their website clio.com, with the code L2L10. Laurence Colletti: Welcome back to Lawyer 2 Lawyer, I am Laurence Colletti and with us today is my co-guest host, co, say that three times fast, co-guest host Jared Correia, CEO of Red Cave Law Firm Consulting. Jared Correia: Here I am. Laurence Colletti: And our attorney guest, an expert attorney, Mark S. Zaid, founding partner of Mark S. Zaid, PC. So, gentlemen, on the backend of the last segment, we were talking about the crimes that D.B. Cooper could be charged with today and any co-conspirators and whatnot, but one thing that we haven’t gotten to is, there’s been a list of thousands of D.B. Cooper suspects are investigated by the FBI and other law enforcement officials, and so obviously the world is replete with people that could have committed this crime, that had the abilities to do so, but there were certain ones that got flagged out in history and are favorites of the Cooper rights, of course people that study and research D.B. Cooper. So, Mark, if you don’t mind, Jared and I wanted to make a serious assertion of one suspect and then kind of a fun one and then have you shoot our answers out of the sky? Laurence Colletti: Okay. So, Jared, do you want to go first or should I go first? How do you want to handle this? Jared Correia: I think like there is an obvious suspect here that we are all overlooking, Laurence Colletti. Jared Correia: Like, in the most brazen attempt of all, not only are you covering up a crime but also podcasting about it, it’s almost the perfect cover. So, my understanding is that you have been pickling yourself for the last 50-plus years biting Cap’n Crunch on a regular basis, preserving your body to look younger than you actually are. I don’t feel like I am just throwing this theory into the wind. Laurence Colletti: Well, that part of the theory that you have is true. I have been a prolific eater, consumer of Cap’n Crunch especially with Crunch Berries. Jared Correia: As you should be, and you can purchase all that Cap’n Crunch because of the money you stole from the flight. I think Mark’s silence indicates that he is not into that theory. He is totally ignoring me. So, let’s move on to yours, Laurence. Laurence Colletti: All right. So, here is a fun theory. So, as I was doing the research, Mark, I ran across The Boogie Monster podcast and they did a special episode on D.B. Cooper, and so one of the guys supported this theory and I’ve never heard this one in all of the research, but he thinks the crew did it and there is no such person as D.B. Cooper. What do you think about that one? Mark S. Zaid: It’s innovative, and I think it would be perfect for a fictionalized novel, but as much as I believe the FBI was completely incompetent on the D.B. Cooper case, even I don’t think they are that incompetent. Jared Correia: So, if I leave aside the fact that I think Laurence Colletti is D.B. Cooper, let’s leave that aside for now. My suspect that I want you to shootout. Mark S. Zaid: That one is far more believable to me. Jared Correia: Oh wow, wow. All right, so you are really not buying into the crew theory, I get it; so, lot to pull off with multiple people. Like, keeping like four people quiet for like 50-plus years is a lot harder than keeping one person quiet. All right, Ted Mayfield is my next guy, died in 2015, he was a Special Forces veteran, a pilot, and a competitive skydiver. He is tied to 13 other skyjacking deaths, believe it or not, due to faulty equipment. I am making air quotes right now, and faulty training. He had a criminal record for armed robbery, transportation of a stolen aircraft, sounds familiar, D.B. Cooper maybe had an aircraft that he brought with him or that he brought to him so that he can fly away. 2010 he got three years probation for piloting a plane without a license. He was a suspect but was ruled out because he called an agent two hours after Flight 305 landed in Reno to volunteer information about skydiving practices and landing zones, sounds like somebody who had knowledge of the crime would do something like that, to throw the FBI off the scent. He claims that the FBI called him five times while the hijacking was going on. There were some amateur researchers as well, Daniel Dvorak and Matthew Myers who were pushing him as a suspect and challenged the FBI dismiss him as a suspect, but Mr. Ted, Ted Mayfield, claims that he was playing along by those folks and they denied that fact, but their book was never published. So, Ted Mayfield, lot of facts indicating that he might be D.B. Cooper, why isn’t he? Mark S. Zaid: Well, I mean, they never had any evidence that supported it and even actually Mayfield himself was saying that these guys were telling him to play along so that they could make some money. And apparently, at least when the FBI actually did talk to him several times and that they didn’t feel that there was an ability for him to have been able to have access to phones, I mean, it’s not cell phone world like we have today where you can be anywhere, he actually had to have a real phone back at that time. And given that they spoke to him several times they didn’t feel that he would have been able to be D.B. Cooper because of the logistics. Jared Correia: All right. So, Laurence Colletti a/k/a Dan Cooper has another suggestion. Laurence Colletti: All right. So, Mark, here’s who I like for it after doing all the reading. I like Richard Floyd McCoy, Jr. and so I like him because he actually pulled off almost a duplicate caper here. So, he was of course on a later Flight 855, it was another Boeing 727 with the rear stairs and he just like D.B. Cooper requested for parachutes and this time $500,000 in cash and basically — the facts are very similar, lands in an airport this time at San Francisco International SFO and then back in the air and he bailed that over Provo, Utah and he pulled this caper off with a fake grenade in an unloaded handgun. And so, the only difference between this one and the other one was that D.B. Cooper was regarded by the flight crews being a very polite hijacker, which is kind of interesting one of the more humorous anecdotes reading about the case. And in this case, Richard Floyd McCoy seemed a bit more irritated. And so I am thinking that maybe it’s because he quit smoking, maybe he is having a bad day, that’s one aspect. But one thing that is interesting is he did two tours in Vietnam, which I think puts him — gives him that military background. His family also recognized the tie and tie tack that they had in the case, and so the family recognized that as something that he would wear and he did bear a likeness to the sketch. And so that’s who I like, I like Richard Floyd McCoy, Jr.
Oh, also, did I mention that he did get busted, he went to prison and eventually got in a shootout with the FBI and the FBI, the couple of agents that were on the case really did believe that Richard Floyd McCoy, Jr. was a suspect. So why are myself and the FBI wrong? Mark S. Zaid: So McCoy without a doubt has been one of the stronger suspects. The issue with him has been said that one, that there was credible evidence that he had an alibi, that he was actually in Vegas on the day of the Portland hijacking, and then he was in Utah for Thanksgiving dinner, and that this is perceived to be more of a copycat hijacking. Of course, it happened after the D.B. Cooper hijacking. There were some differences in how his description was about his age and also, there was concern that he didn’t have the same skydiving skill that was attributed to D.B. Cooper in jumping out of the Portland aircraft. But on its paper, in fact, if you look at who we believe is the actual D.B. Cooper, there are definitely a lot of similarities. And I will say at least that even though the FBI might have said at the time that they had killed D.B. Cooper when they killed McCoy in the shootout, we have some of the FBI agents who worked on the case as part of our team now and they now believe that our suspect is actually D.B. Cooper. Jared Correia: So should we do the big reveal? I think we should. Laurence Colletti: I think we should too. Go ahead Jared. Jared Correia: You are too kind, sir. You are also very polite Laurence, might I add. So Mark, what led you to believe that the person you think is D.B. Cooper is actually D.B. Cooper and who is it? Mark S. Zaid: So Robert W. Rackstraw is a retired pilot, ex-convict, served on an Army helicopter crew and other units during Vietnam, completely skilled in this type of activities, actually had intelligence training as well. He is still alive. He lives in the San Diego area. When that story, I told you about the finding of the money in 1980, was first learned and we started to dig into this and our Cold Case Team is compromised of lawyers, police, former police, law enforcement, federal and state criminologists, all sorts of investigators, journalists, every time we found a new lead, that lead led to Robert Rackstraw. And in fact, when he was prosecuted for murder back in the 1970s of his stepfather or father-in-law, his lawyer at the time, who is someone I have been in contact with over the last few years, even he told me in writing that Rackstraw used to tell him that he was D.B. Cooper, but he just never believed him at the time. The FBI really took this seriously that they thought he was. He fled a number of times, faked his own death in a plane crash in fact, fled to Iran in the late 1970s and they coaxed him back, sort of tricked him to come back and arrested him. But apparently, from what we were told when we did a TV special with the History Channel a couple of years ago, that there was some sort of evidence that gave him an alibi that they weren’t able to break at the time. We identified Rackstraw having something like four or five different alibis for where he said he was during the time of the hijacking, so sort of made it incredible that any one alibi was more significant than the others since he had so many. But this guy’s background, his likeness at the time, because we found photographs of what he looked like back then and if you compare it to the sketch, and look, a sketch is just a sketch, you know, how accurate is it going to be, but it’s eerily similar. Jared Correia: So thanks for listening, we figured out who D.B. Cooper was. No, just kidding. Mark, it sounds like a pretty tight theory, but the FBI doesn’t agree with you, right, and why do you think that is? Mark S. Zaid: They don’t agree and we think it’s frankly because they are so darn embarrassed that we broke the case and they didn’t, when it really comes down to it. I mean, this is just the sort of attitude of the Bureau. And I didn’t even give you sort of what we say now is the best evidence that has come forward, that we only learned in the last couple of years because of the lawsuit I filed under the Freedom of Information Act. Like I said, we got access to the letters that D.B. Cooper sent to newspapers and we got access for the first time ever to letters that the public didn’t know existed. When we got those — now I think we have about six letters that we have seen. Those letters we gave to former squad members of Rackstraw from Vietnam. And when one of the men who was in his unit was looking at the letters, he recognized there were some strange nuances, strange language that was used. There were phrases that were repeated. There were words that sort of seemed out of place. And he took one of the intelligence codes that they used to use for that unit and he applied it to each of the letters, and in each of those letters he found coded words, coded sentences. And in each of them we found the units that Rackstraw had been in in Vietnam. There were phrases where he indicated he was taunting the government that D.B Cooper is not his real name and you guys can’t find me. And that’s all great circumstantial evidence, but the kicker was in the sixth letter. The final letter, the most recent letter we got, it said, when you applied the same code, it said I am 1st LT Robert Rackstraw. I don’t know, you can’t get much better than that. Jared Correia: It’s pretty good. Laurence Colletti: So this was work done by Thomas Colbert’s team member Rick Sherwood, right? Now, he was the one that served — I think he served in a unit at the same time as Rackstraw, is that correct? Laurence Colletti: So I thought there was initially just five letters, so I am getting something new here. So the fifth letter of course was the one that you guys were able to unearth after the FOIA request and it had been secret for about 46 years. So you are saying there is a sixth letter, which — where was that one located? Mark S. Zaid: Within the FBI files. What’s going on as part of the lawsuit, because they administratively closed the investigation, we put in a FOIA request. I hadn’t done that earlier because the FBI could have claimed that it’s an open investigation and you can’t — there is an exemption under FOIA for getting access to open investigation. So the Jimmy Hoffa’s murder investigation is still an open investigation since 1975 and his family can’t get access to the files. But when they closed the investigation and we put in the FOIA request and sued, then they were forced to have to start disclosing the info. So they are processing a minimum of 500 pages every month and just sending them to me on a disk. So we never know what we are going to get and in each of these batches of releases every month has been these new letters, these new old letters. Jared Correia: That’s fascinating. So spoiler alert, the sixth letter says, just kidding, Laurence Colletti is D.B. Cooper. Mark S. Zaid: The seventh letter. Jared Correia: The seventh latter, excuse me. Laurence Colletti: It’s hard to keep up. It’s hard to keep up. Jared Correia: There are a lot of letters. Criminals love to write letters, it’s like a thing. It’s how they always give themselves away. So Robert Wesley Rackstraw is like a real person, who is still alive, unlike some of these other suspects, and he claims that he has lost his job as a result of your investigation. So are you worried that he is going to sue you and your client potentially? Mark S. Zaid: No, he has already claimed I murdered him, but he got better just like in Monty Python’s Holy Grail. Jared Correia: It’s only a flesh wound. Mark S. Zaid: Yes. He filed some — like a notice of — I am not sure what it was, a notice of I was murdered by Mark Zaid and Thomas Colbert with the court in the FOIA case, which of course there is no way for a third-party to intervene in the case, but he filed this letter opposing what we were trying to do and he claimed that we had given him a heart attack, but the doc saved him so he is okay. He has used our work, including my name specifically, to help sell his boat through craigslist, which he advertises as D.B. Cooper’s boat so that it’s worth a lot more money. So he has got a sense of humor about it too. Mark S. Zaid: But we have been talking to the guy for five years and every time anyone would suggest from him or his lawyer that they would sue, I am like go right ahead, please do, I would love to take your deposition. Laurence Colletti: All right Mark, so my second to last question for you is what is the current status of your investigation here? I mean what are the next steps for you and your client in regards to Robert Wesley Rackstraw? Mark S. Zaid: So the FBI has approximately 70,000 pages of documents pertaining to this investigation and we only have received maybe about 5,000 of those pages, so the lawsuit is continuing. I filed a motion with the court to say that the public interest outweighs Rackstraw’s privacy interests, so that the FBI would be compelled to disclose to us everything they have about him. We are waiting for the court to rule and we are hoping in about two weeks for a news media blitz about the letters that we just discussed, but that we would reveal the actual coding, which we haven’t done. So what has been revealed so far, if anyone googles D.B. Cooper letters and especially Tom Colbert, that would make it easier to come up, the letters, the discussion of the code and what the translated code has led to, that has been published and revealed, but we haven’t revealed the code. So we are going to do that so that everyone can see for themselves, we are not making this up, this was an actual army code back in Vietnam and when you apply it, boom, here is what the letters say, and that means nobody has been faking it. And at some point in time I believe in the theory of Occam’s Razor, which dates back a couple of thousand years or so if I remember, the simplest explanations are always the best, and when you have got contemporaneous documents, multiple of them leading to one person, the evidence is there. Now, can it be prosecuted? Completely a different question and obviously a completely different burden and I am sure there would be some serious problems with the prosecution 47 years later. But that’s not what our goal is. Our goal is to merely solve the case. Laurence Colletti: Well, we will have to leave it there. It looks like we have reached the end of our program, but I would like to invite our guest Mark Zaid, your final thoughts, and also sir, if you wouldn’t mind, can you leave some contact information for our audience. Mark S. Zaid: Sure. I mean you could always get a hold of me through — just google my name, my website will come up, and you can follow me on Twitter @MarkSZaidEsq, where I am repeatedly and regularly tweeting about D.B. Cooper. Laurence Colletti: And Jared, how about you, what are your final thoughts and contact information? Jared Correia: This was really fun guys. This is one of the most enduring American mysteries and I thought this was a really cool discussion. I was a fan of the Mad Men TV show when it was out and for a while the story was circulating that at the end of the show Don Draper was going to be D.B. Cooper, which I will just say would probably have been like the coolest TV show ending in history, although they didn’t have the stones to actually do it. Maybe there is an alternate ending out there somewhere that we can look at. But I think this is fascinating and Mark and his team have done a really thorough investigation here. I know very little about D.B. Cooper beyond what has been said in this podcast, but if you need law practice management consulting, you can find me at redcavelegal.com. And thanks for having me on Laurence. Laurence Colletti: And that brings us to the end of our show. If you liked what you heard today, please rate us in Apple Podcasts. You can also visit legaltalknetwork.com, where you can leave a comment on today’s show, and sign up for our newsletter. I am also going to leave some research links about the information you heard today and that I referenced during this episode. Thank you for listening. I am Laurence Colletti. Join us next time for another great legal topic. When you want legal, think Lawyer 2 Lawyer.